A lot of times when companies want to implement a search engine optimization (SEO) campaign, they think what they’re investing in is a process disparate from the rest of their marketing channels. They think SEO consultants just need to optimize the website, perform some off-page optimization and then maintain the set course, so to speak. What goes on in a well-executed and expert SEO campaign is a bit more nuanced and definitely more integrated. SEO is entwined with the rest of the sales funnel in which a lot of other marketing and sales mechanisms work. To better illustrate this, let’s take a look at an example. Our fictional company is a digital records management business. It aims to convert private businesses running records using file cabinets to abandon their old ways and go digital, and one of its most important unique service propositions is that it gives consultations and guidance to its clients to help ease them into digital records keeping. Our fictional company provides a digital product, but as a USP also provides value-adding services to its clientele. It should be easy to project your own business product or service into the shoes of our fictional company, unless your business model and industry are vastly unique and different. 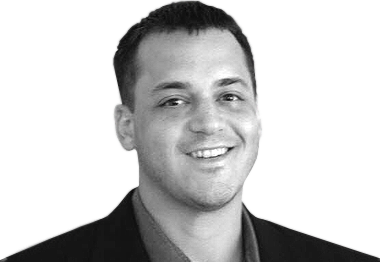 It has been in the business for a while now, and is heavily investing in digital strategy and moving from word-of-mouth B2B sales to digital inbound marketing. Visibility – The company needs to be more visible to its target audiences. 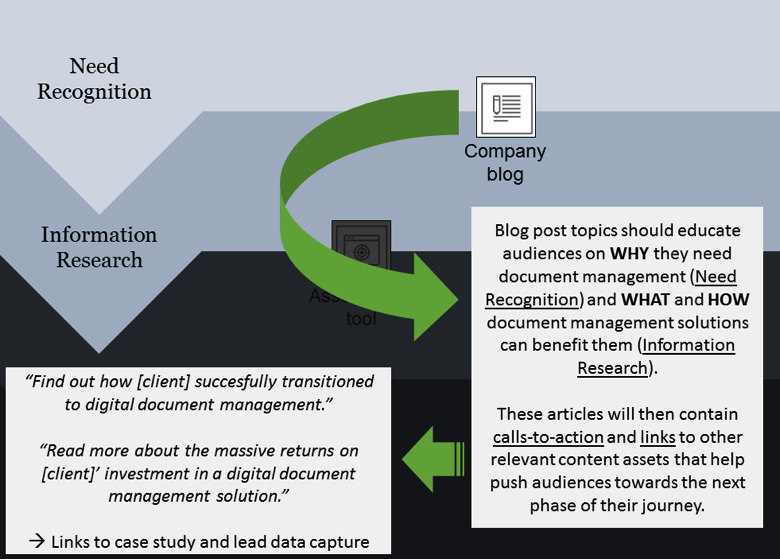 Authority – The company needs to be value-adding by providing authoritative content and becoming a thought leader in the digital records management arena. Guidance – The company needs to get the message across so that it can give much-needed guidance on how organizations can efficiently move from traditional to digital document management. These are the main business objectives that the digital strategy needs to achieve. Visibility and authority are already typical goals for many businesses that need a digital strategy. The third one — guidance — is aligned to our fictional company’s USP of providing consultation and guidance to clients. Company blog – the central content repository for the business website. White papers – authority-building assets. Landing pages – the main web pages of the site to optimize and lead visitors for conversion. 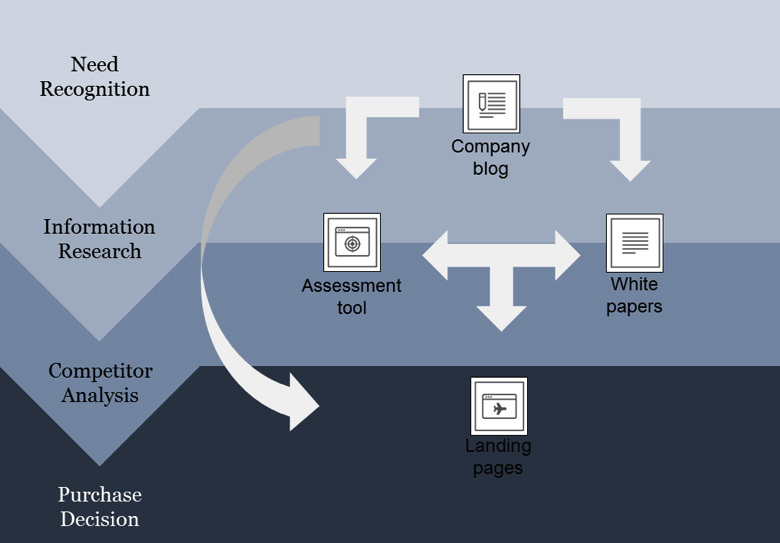 Assessment tool – a self-help tool for prospects to understand their level of readiness to transition to digital records keeping (this is a unique tool aligned with the company’s USP). Let’s see how they break down and how SEO maps to each of these. Remember, the digital strategy allows the fictional company to present its audiences content relevant to their stage in the customer journey. 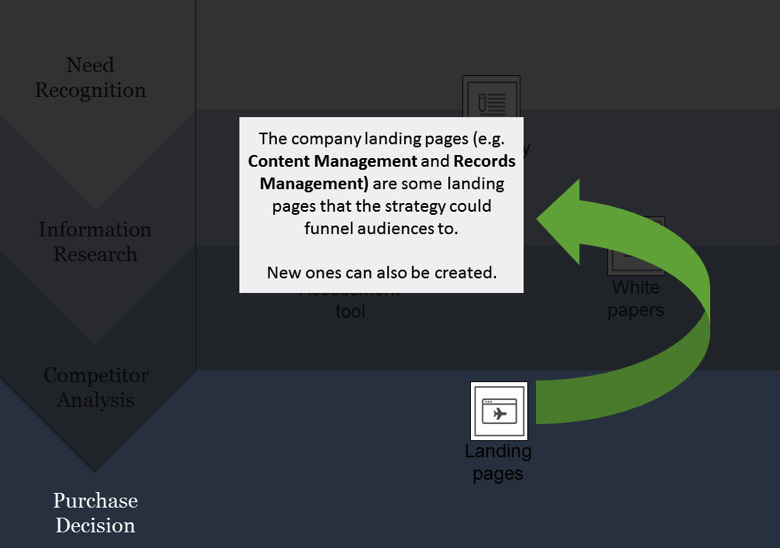 The company blog targets readers in the earlier stages of the funnel, the assessment tool and white papers are for people in the middle stages, and the landing pages are for target users who are ready to purchase. Each tool leads to others in a way that advances interested parties from one stage of the funnel to the next. Content posted on the company blog caters to audiences in the first two phases of their consumer journey. The assessment tool and white papers cater to audiences who are either looking for more information or assessing service providers. Ideally, they should link to each other and to the landing pages. Finally, the landing pages are the last content assets required to convince audiences to make a purchase decision. So, Where Does the SEO Come In? 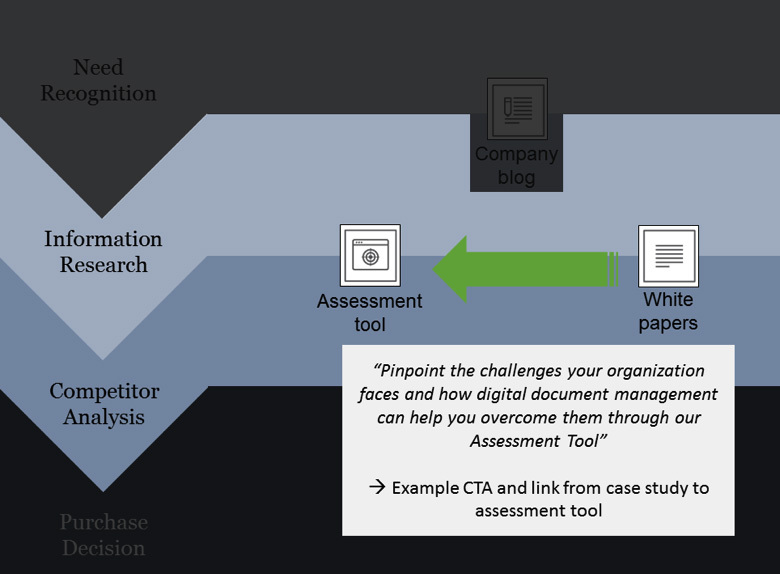 For the company blog, both on-page and off-page optimization needs to be done. The entire domain needs on-page optimization, actually. Now, since the business needs to find comfortable top positions in target search engine results pages (SERPs), from the SEO team, the business will need in-depth keyword research and then continuous link building on some key pages, always remembering to deeplink to authoritative blog posts because authority is one of the key objectives as well. Since the company blog caters to buyers mainly in the first few stages of the funnel, the SEO team needs to take its motivations into account when researching long-tail keywords and targets. For the tools in the middle of the funnel, the SEO team needs to make sure all the top-of-funnel pages point and link downward, furthering the education of the readers hooked by top-of-funnel tools and pulling them in deeper toward conversion. Keyword research and targets change as buyer motivations and search experiences are taken into account. Finally, for the landing pages, more long-tail keywords with buying intent will probably be required. Though it’s true that the set of activities SEO teams have to perform are the same — keyword research and targeting, on-page optimization, link building, etc. — the way they go about it differs based on the reasons for doing it and where on the site they’re doing it. SEO maps to the entirety of the digital strategy and works hand in hand with other marketing channels, and our fictional business would do well to invest in a strategy that works best for its purposes. The same goes for you.